HARLINGEN — Weather forecasters have issued a wind advisory beginning at 3 p.m. this afternoon when a strong cold front is expected to rocket into the Rio Grande Valley. 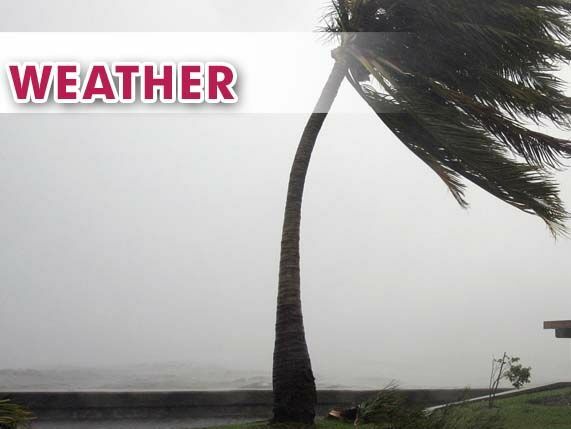 The alert, for coastal Cameron and Willacy counties including the cities of Port Isabel, South Padre Island and Laguna Vista, will expire at 9 p.m. The wind advisory was accompanied with a forecast for sustained winds of 30 mph with gusts to 40 mph. Forecasters warn items such as patio furniture and trash cans need to be secured or they could become airborne missiles and present a danger to people in the vicinity. Also, small or high-profile vehicles could become unstable while driving, particularly on bridges or overpasses. On the water, a gale warning is in effect for the Laguna Madre and gulf, and a small-craft advisory will be in effect until 7 a.m. tomorrow. Seas in the nearshore gulf will be four to seven feet, and offshore waves of between seven and 10 feet will accompany the high winds. On gulf beaches, a moderate risk of rip currents today will turn into a high risk of rip currents tonight.